Do you like sugar cookies at Christmastime? 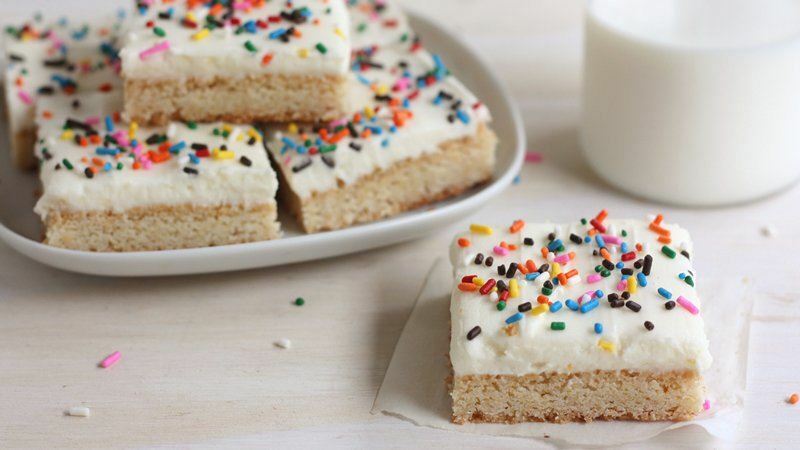 Well, here is a great variation of the classic frosted treat: the sugar cookie bar. This recipe is easy to mix, makes a lot and only takes eleven minutes to bake. Frost it, cut it into squares and you have a hit for parties. Combine powdered sugar, butter and almond extract in medium bowl. Beat at medium speed, gradually adding enough half & half for desired spreading consistency. Spread over cooled bars with spatula and garnish with sprinkles or decorate with a can of icing. Cut into 48 bars. Denise Devine is a USA TODAY bestselling author who wrote her first book, a mystery, at age thirteen and has been writing ever since. Her newest publication, A Christmas To Remember, is on sale now for 99 cents. And, yes, it includes a pet! Sign up for our newsletter and keep up with Sweet Romance Reads! Scroll down the right side of this blog and enter your email address under Newsletter Signup. Join us at the Sweet Romance Reads Café to chat with our authors. Be sure to stop by on December 10th to take part in our Christmas Cookie and Sweet Recipes Swap party! The fun starts at noon EST at the Cafe. See you there! Love sugar + Christmas. Looks like my kind of treat!